What Is The FPR Certification? There is so much expected and required from court reporters at both the state and federal levels, whether a freelance or official, new reporter or veteran. The FPR compiles everything into one seminar and a comprehensive reference manual, ensuring that Florida’s court reporters are knowledgeable in the requirements of the job. All information will be presented in classroom format. This is not an open-microphone discussion session. A closed-book examination will be administered following the seminar. Starting with an historical background of transcript formats from the Federal Rules, presenters will guide you through the maze of Florida’s Rules of Court, and they will show how those rules apply to your role and responsibilities in all types of proceedings. You will learn how to apply NCRA’s Advisory Opinions to your daily reporter lives. The panel will cover various kinds of depositions, sworn statements, arbitrations, examinations under oath, medical examinations, and court proceedings, as well as take you, step by step, through the transcript production process. You will learn the Florida mandated guidelines for read and sign procedures, appellate procedures, and parenthetical construction. The FPR panel will also discuss some of the prohibitions and pitfalls of working in the field of civil and criminal litigation as well as cover the ethical obligations that every reporter should know in order to remain a neutral party to proceedings and to uphold the integrity of the profession. At the conclusion of the day, the FPR voluntary certification test will be administered. 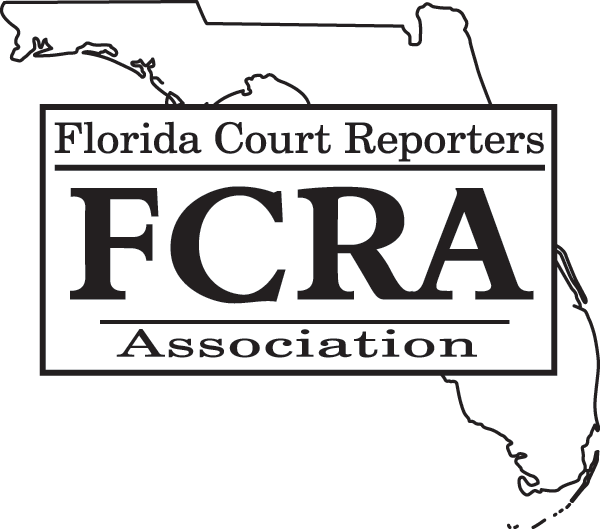 Those scoring 80 percent and above will be awarded their FPR (Florida Professional Reporter) certificate.